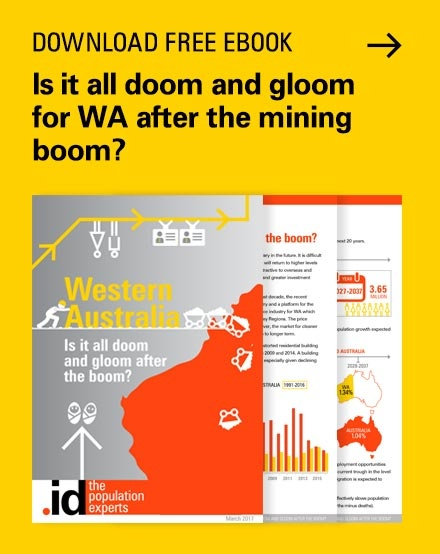 Hmmm… is this a list of areas that .id has profiled or forecasted? Well some of them are, but not quite. They are in fact the weird and wonderful destinations from a 1980s Melbourne Comeng train destination roll. 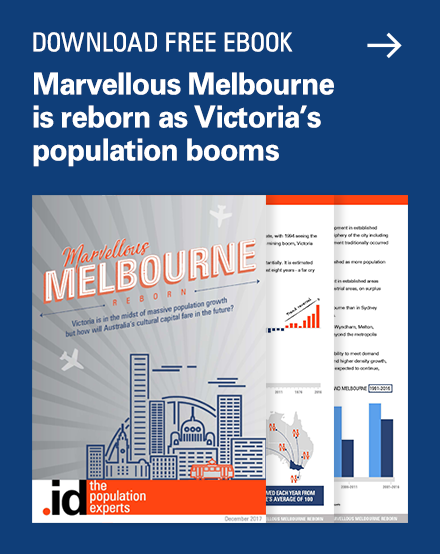 This handsome piece helps decorate the office at .id and provides a unique insight into Melbourne’s railway network (existing and proposed) in the early 1980s. Wikipedia tells us that the Comeng train first appeared on Melbourne tracks in 1981, replacing the 60 year old ‘red rattlers’. Of the original 570 cars, 546 are still plying their trade around Melbourne’s rails but these have been substantially refurbished, including the removal of their original destination rolls and replacement with automated dot matrix screens. Most of the destinations on the roll aren’t especially eyebrow raising, but there are a few entries worthy of further examination. These fellows only experienced a few years of the Comeng train before being converted into light rail/tram lines in the mid 1980s. I’m showing my age when I can claim to have caught a train to St Kilda, but then again I also remember ice skating at St Moritz on the Upper Esplanade! Princes Bridge gave its life for Fed Square. The new Victorian Government has promised another review into a Doncaster railway line. It will take the authors at least one term of government to round up all the previous reports on the topic. As for Melton, perhaps we’ll all be in spaceships by then. Not exactly sure how the City Circle is different from the City Loop. Maybe the marketers couldn’t agree on a name and decided to have a bob each way. Mentone? In my train catching Frankston line school days I caught plenty of Cheltenham trains, the odd Carrum train and occasional Mordialloc train. Can’t recall a Mentone train though. Maybe another just in case option. And finally, the dearly missed General Motors. Great efforts were expended by the railway authorities in the 1980s to inform us that particular trains were NOT stopping at General Motors. This not stoppingness gave General Motors its own mystique. It was a powerful statement of intent (or non-intent). Nowadays, it is left to South Kensington to carry on this grand tradition. 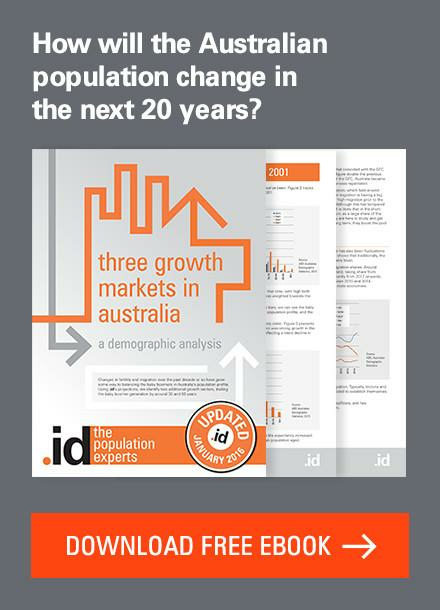 Johnny is an urban planner, population forecaster and spatial consultant with an extraordinary knowledge of places across Australia. 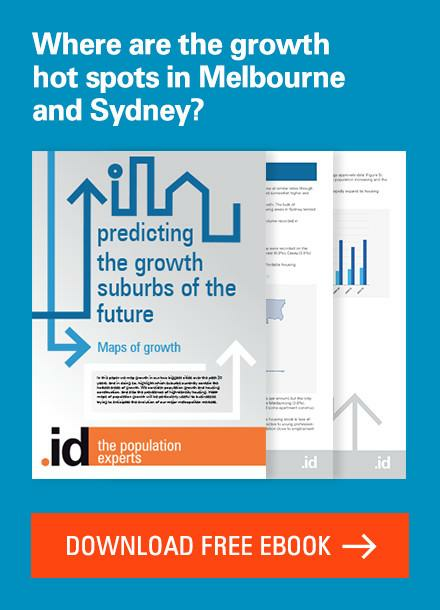 He has been forecasting, analysing, and mapping Australia’s urban changes since the late 1980s and has worked as a land analyst for State Government in Victoria and a strategic planner for Blacktown City Council in NSW. 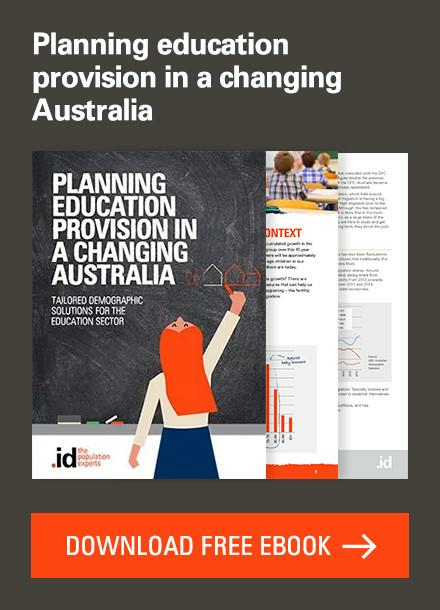 As a Lead Consultant for .id, Johnny has completed projects informing Board-level decisions with the AFL, NRL Stockland, Red Cross and numerous education providers. 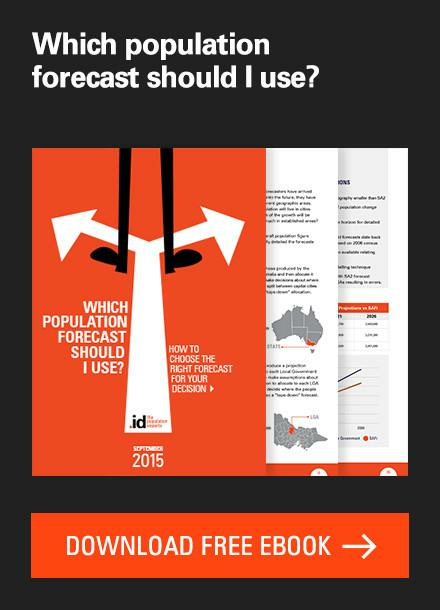 Johnny undertakes comprehensive forecasting for Local Governments in Vic, WA, SA, NSW and NZ. 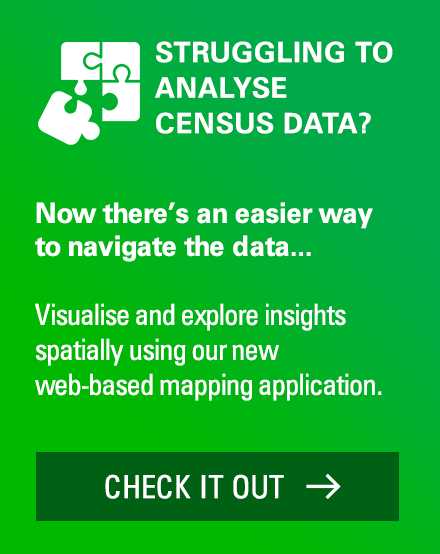 profile.id 2011 Census update is here! What do the 5 monkeys have in common with the US Virgin Islands but not Samoa? A short history of ‘public transport infrastructure that WAS…’ in Australian cites provides us with a List of Shame…. Adelaide, for instance, once had an extensive tram network which was dug up and replaced with buses!?! – Not to mention the closure of so many regional lines that are considered no longer ‘viable’. 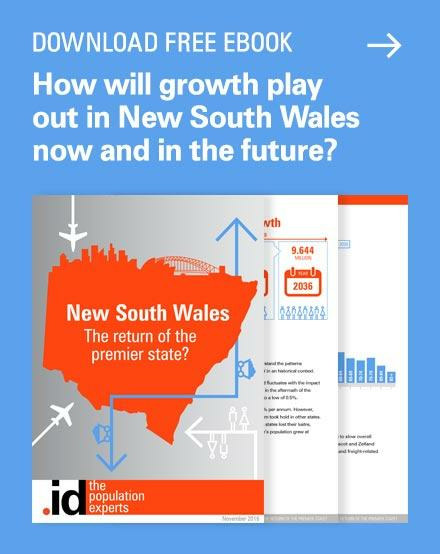 When viability calculations take into account of the cost of carbon we will see much more extensive public transport returning to our cities and regions….hopefully. Yes Adelaide was covered in tram tracks in the early 1960’s. In the 80’s they built the O-Bahn, from Adelaide City to Modbury. This carries a huge number of people into the City and back each day and in fact contributes to a higher use of “public transport” percentage for Tea Tree Gully workers. City Circle was a full loop of the City Loop that Epping and Hurstbridge trains did once they got to Flinders Street (before they headed back out to Epping or Hurstbridge). Removed from the timetable sometime in the 90s, I think. The Epping/Hurstbridge loop has a set of points after Parliament – one line heading out to Jolimont and the other to Flinders Street. South Kensington still has a friend in East Richmond. There are also some other interesting destinations on the roll – Coldstream? Deer Park West? Next story How to identify a gentrifying area? Previous story Will the kids ever leave home?